Clydebank College Library News | Keep up to date with your friendly college library! Like my companion, I came here as a student (74) so the past 9 years I feel honoured to have been allowed to put something back for the opportunity I got at this college. Colleges Scotland is the best place to get information on copyright. 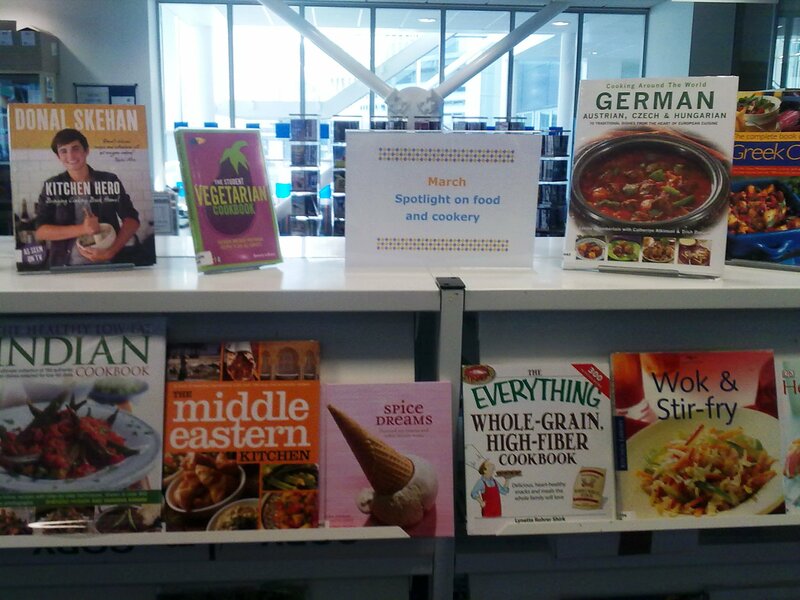 After using some cookbooks in the february Heart month display, we have highlighted some other cookery titles for our March display.